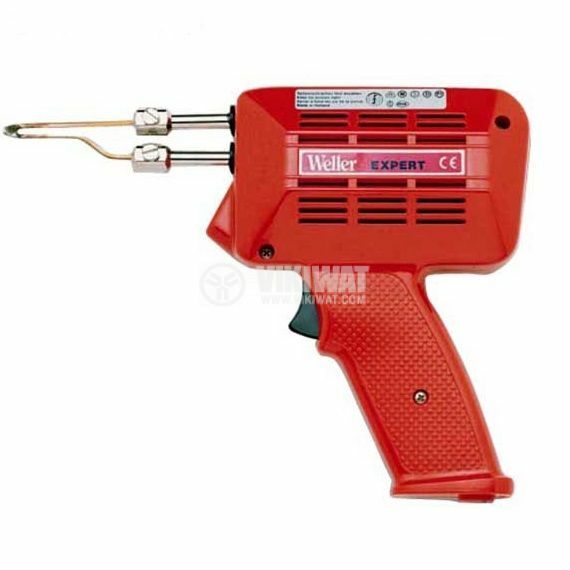 Induction soldering iron with lights. Ready for use within 7 seconds. Comfortable handle for hard work. Soldering in electronics (integrated circuits, electronic components, printed circuit boards), in electrical engineering. The set includes a cutting tip, a copper tip, a flat-end tip, a soldering gun, an auxiliary tool and solder reel.